Today’s post is from my girlfriend and Cocktail Hacktress in training, Elisabeth. She was excited to tackle this book as it’s a good intro to bartending and cocktail making in general. Let’s face it– Reese is far from an amateur when it comes to mixing drinks. So when “The Complete Idiot’s Guide to Bartending, Second Edition” was delivered to his house, it got passed to me. I have learned a few things about cocktails over the past few months dating The Hacker, but took the time to refine my skills a little with some hands-on time. Perhaps most pleasing about this book is that you don’t feel like an idiot when you read it. Your first few chapters provide you the basics on everything you need to know to bartend like a champion. There are brief introductions to the major types of liquor which are informative and brief. There are a few quick recipes for basic ingredients like simple syrup, followed by a list of “must haves” for your home bar. After a quick review of my own liquor cabinet, it became abundantly clear that I am not well stocked. The “basics” however are fairly easy to obtain and even I can find decent vodka or white rum at the liquor store (hint: it is not the $4.99 special). If your stash has a few more bottles than mine, there are two more extensive lists that you can use to fill out your bar, should this be your goal. I found this section particularly useful because it will help anyone buy appropriate liquors depending on how serious they are about bartending. If I wasn’t dating Reese (who is more than happy to fill out my stash when necessary), I would definitely stock up to cover the basics. Finally, Reese and I perused the recipe sections. These are grouped by liquor type (which I find to be useful with a limited bar). All recipes I consider to be staples are covered in the book—these are the ones we all know enough about to order at a bar. There are also some you probably don’t order, giving you many options for mixing up something delicious for friends and families. Reese appreciates that the recipes use real juices versus something like sour mix. 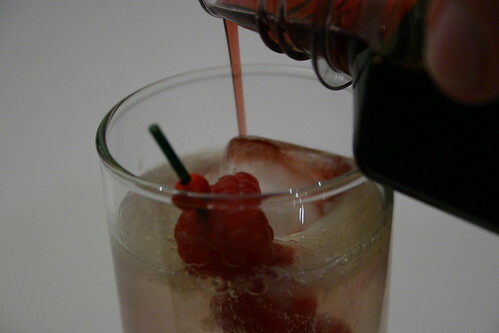 Most of the classic cocktails are recipes he would mix up and are sized appropriately for his taste. Overall, The Complete Idiot’s Guide to Bartending is a good, complete intro to bartending. If you got a cocktail shaker from Santa, you’ll definitely want to buy this book. Despite my whining from last week, sometimes inspiration just strikes me. I had pulled Hiram Walker Gingerbread Liqueur out of my collection to try when the Caramel Apple arrived. It was one I received a year or more back and just never got around to actually trying. And now, some good and bad news. The good news is that this stuff is just that, good. The bad news is that they’re not making it anymore. But, on the bright side, you can still find it at a lot of liquor stores (my local ones have it) and online. So, dear friends, don’t despair too much. Okay, enough chatter, let’s talk liquor. The color is what you’d expect, dark brown and reminiscent of gingerbread. Big surprise, no? The aroma is comprised mostly of molasses, spice and sweetness. And the flavor is where Hiram Walker Gingerbread really shines. You get the molasses notes of good gingerbread, the spices play nicely throughout and the sweetness is there but not cloying. Well, done HW, well done. So what do you do with it? Well, there are lots of obvious holiday options. Coffee. Hot Chocolate. Giant glass, one ice cube (for the hard days…we all have them). The obvious aside, Elisabeth came up with a great option to both warm you up and calm you down, warm milk with gingerbread liqueur. 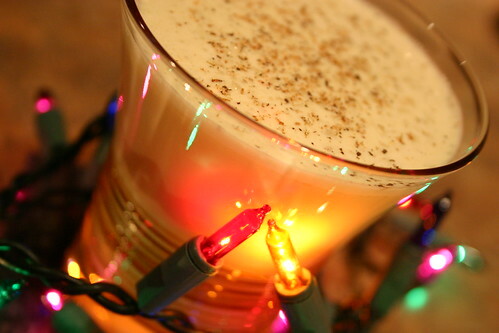 I’d suggest a mix of 2 oz Gingerbread Liqueur to 6 oz warm milk. Definitely non-sucky. For me, inspiration struck in the form of Gingerbread Eggnog. The flavor is definitely eggnog, but with a subtle gingery, spicy, molasses-y twist. Molasses has a very distinct flavor and that comes through in the backbone of this drink. I drank this down in about 10 minutes and wanted another one nearly immediately. Per my preference, the sweetness is subdued, but present. You could always add a splash (small) of simple syrup if you wanted something more akin to carton eggnog. Oh, and like all good holiday drinks, this one packs a punch, but you’d never guess that tasting it. If you’re looking for something new and interesting to serve at your holiday gathering this year, you definitely won’t go wrong with this one. And, if you can’t find a bottle, swing by my house. We’ll mix one up. You know what’s better than watching cocktails explode in super slow motion? NOTHING! Okay, maybe one thing. Drinking the cocktail, then exploding them. Check out the video below for all the slow-mo awesomeness. Phantom Cocktails from Ty Migota on Vimeo. Spent a day with the Phantom, creating opening credits for Nik Perleros’ “How To Get Laid”. Only parts of the shots were used, so I decided to do a little edit to show off more of what we shot. Most of the shots were around 5000fps, some of the martini shots were at 8900fps. Liqueurs are an odd ingredients for me. I’m never quite sure what exactly people do with them. Sure, they’re cocktail ingredients, but people have to be using them for other things too, right? Do folks drink them straight? In coffee? Hot chocolate? I’m sure the list actually goes on and on. But, that leads me to a tough question, how can I best review liqueurs to give the best idea of how you’ll all use them? Well, tough questions aside, I’m going to do what I usually do. Give you a run down on the flavor alone and in a cocktail. If you’d like some other thoughts, shoot me a line. Okay, on to Hiram Walker’s newest liqueur, Caramel Apple. Caramel Apple is definitely descriptive of the aroma. You get sweet apple (think gala or honey crisp) with a touch of tartness and a strong hit of the caramel. The flavor starts with a quick hit of bright apple followed by caramel that lingers for quite some time. The sweetness is powerful, it is a liqueur afterall, but it’s not overwhelming. Finally, since HW uses only natural flavors you don’t get the nasty aftertaste that’s common to other liqueurs. So, what to do with it? I first tried one of the suggestions listed on the bottle. Equal parts Jameson and HW Caramel Apple yields a drink with a much tamer level of sweetness while maintaining the crisp apple and rich caramel flavors. Definitely a good start, but I wanted something more complex. 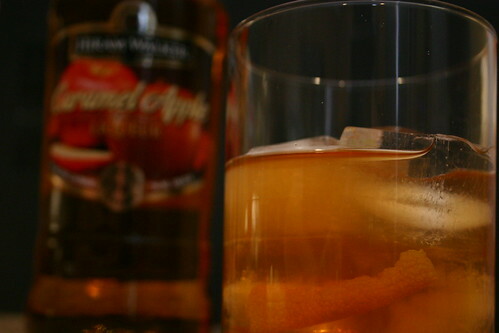 Enter the Spiced Cider Old Fashioned. 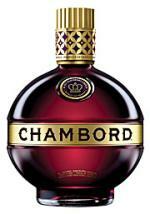 Chambord is a liqueur that nearly everyone I talk to has had at some point in their past, but few can pinpoint exactly when or in what. Though giving them another taste brings it all back. Chambord black raspberry liqueur has a flavor that’s truly unique. Utilizing a three step process of infusing, marrying and blending Chambord achieves a flavor that is deep and rich. The complexity of raspberry is combined with cognac, vanilla and other flavors to create a finished product that is fruity, sweet and very tasty. Putting Chambord to use is easy. You can use it any place that you’d use a fruit liqueur in a cocktail for a different flavor profile. For me, that choice almost always ends up with me pouring some into a glass of champagne and delightfully sipping away. The crispness of the champagne offsets of the sweetness of the Chambord. The end result is crisp and fruity. 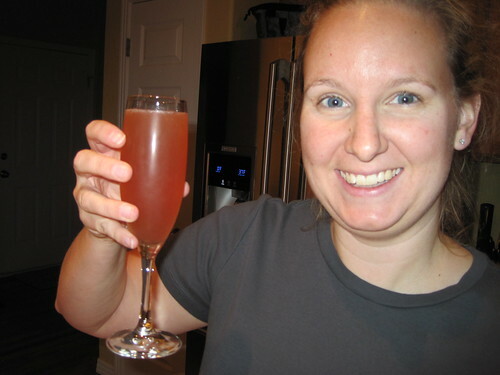 Naturally, this is a spin on the Kir Royale, and likely, the way most have had it in the past. Chambord I had tasted. Chambord Flavored Vodka, on the other hand, I have never even heard of. A sample in the mail changed that. Put simply it’s Chambord combined with vodka. You still get the nice raspberry flavor and a touch of the sweetness, but not as strongly as with Chambord straight up. No surprises there. I mixed it into a Vodka Collins and the result was fantastic. You got the usual sourness of the lemon, mixing with the raspberry flavors of the vodka with subtle hints of the other flavor elements (vanilla, hibiscus, etc) coming through lightly. Despite this vodka having a light sweetness I didn’t find the drink to be unbalanced with the standard 1/2 oz of simple syrup. And, if you’d like a drink that’s even a touch sweeter and packs more raspberry punch try adding 1/4-1/2 oz of Chambord to your finished Collins. The color can’t be beat and the flavor is definitely worth it. So, I have to be perfectly honest with you. 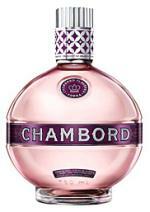 I’m not sure I’d buy Chambord Flavored Vodka. I have a bottle of Chambord on my shelves already and I’d just combine 1/2 oz of Chambord with 1 1/2 oz of vodka to achieve a similar flavor. However, if you’re a flavored vodka lover, definitely check it out.